After battling for seven years about improving the quality of food safety, the U.S. Food and Drug Administration (FDA) has given its catfish inspection responsibilities to the U.S. Department of Agriculture (USDA). Catfish farmers in Alabama applaud the change, saying inspections from the USDA Food Safety and Inspection Service will hold foreign imports to the same high standards at local farm-raised catfish. The transfer from FDA to USDA officially occurred on March 1. 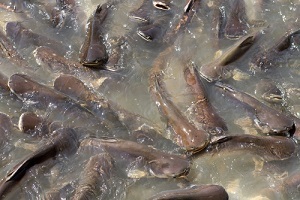 The USDA has started an 18-month introductory period for foreign producers and will soon send inspectors to both foreign- and domestic farm-raised catfish businesses to guarantee the products are safe for human consumption.